A suicide vehicle bomber claimed by an al-Qaida-linked group attacked a bus carrying members of Iran's elite Revolutionary Guard paramilitary force Wednesday, killing at least 27 people and wounding 13 others, state media reported. 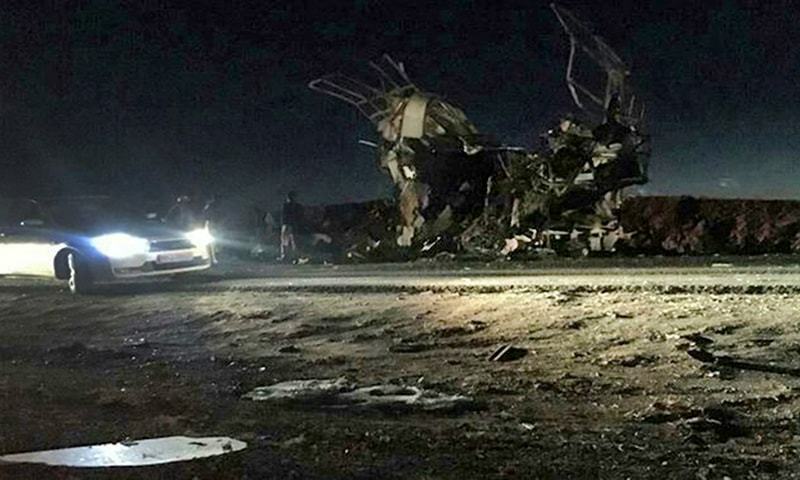 The IRGC personnel were traveling between the cities of Zahedan and Khash, in Sistan and Baluchestan province on Wednesday, when their bus was targeted in a suicide auto bomb attack. The province, which lies on a major opium trafficking route, has seen occasional clashes betweem Iranian forces and Baluch separatists, as well as drug traffickers.